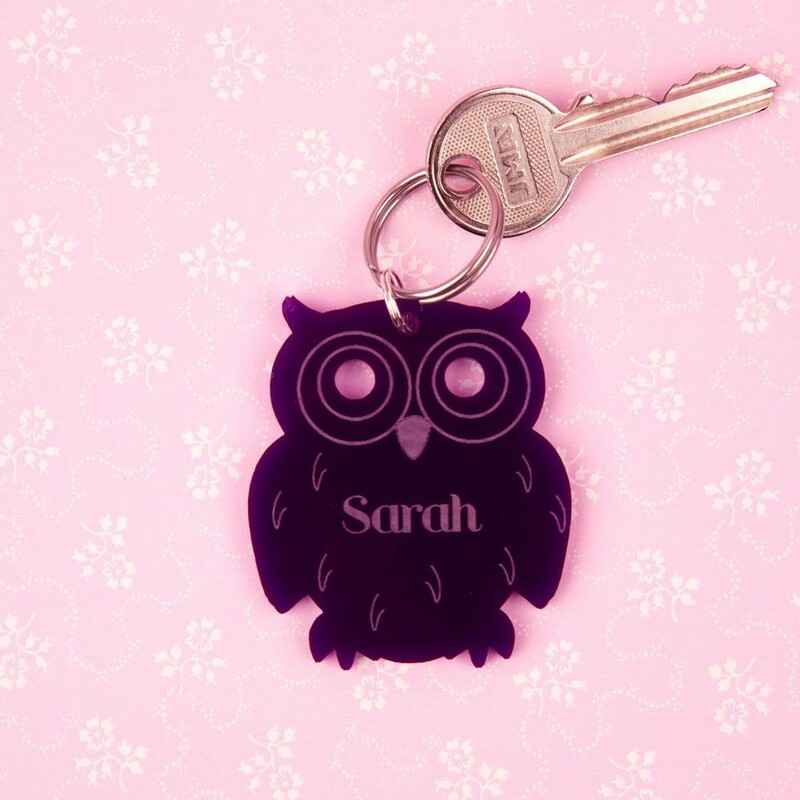 Why not add something different to a boring set of keys with this personalised owl keyring. 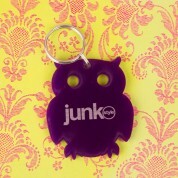 The purple acrylic owl will definitely make your keys stand out! Each of our keyrings are engraved in house so it can be personalised with the name of your choice. Perfect for your house keys, car keys or why not add this fun accessory onto a favourite handbag. The keyring is presented in it's own velvet lined presentation box so it makes a practical and thoughtful gift.